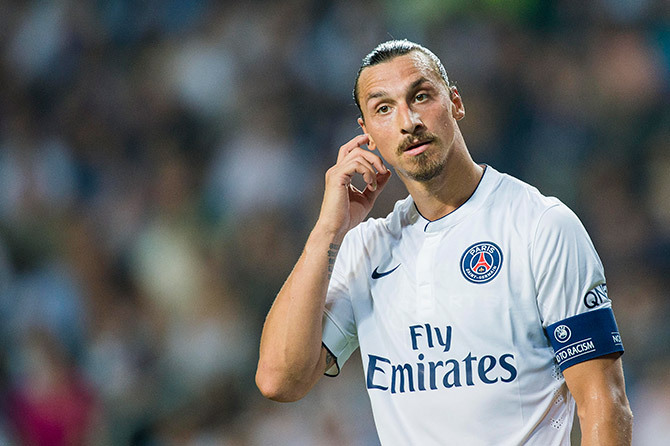 Sweden captain Zlatan Ibrahimovic is not about to leave Paris St Germain and return to AC Milan despite his good relationship with the Italian club's CEO Adriano Galliani, he said on Friday. "Rumours about Milan? It's the media blowing it up and talking a lot, but there's nothing behind it. I'm a PSG player and I have one year left," the striker told a news conference ahead of Sweden's European Championship qualifier against Montenegro on Sunday. "You never know what will happen in football, but at the moment it doesn't look like that," the 33-year-old said. "I'm happy at PSG, we hade a magical year, we won everything we could win and made the quarter-finals of the Champions League." PSG fans are unlikely to be comforted by the comments, however, as the striker said he had been in regular contact with Galliani since leaving Italy in 2012 to join PSG. "We talk often. 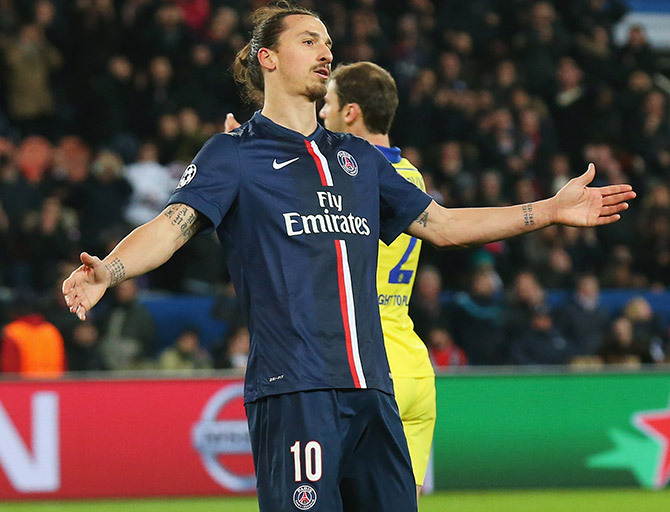 Galliani and I have been in contact since I left Milan," Ibrahimovic said. "For a while we didn't speak, but then we started talking again." Ibrahimovic's three goals in qualifying for France 2016 have helped Sweden into second place in Group G on nine points, four behind leaders Austria and four ahead of Montenegro.